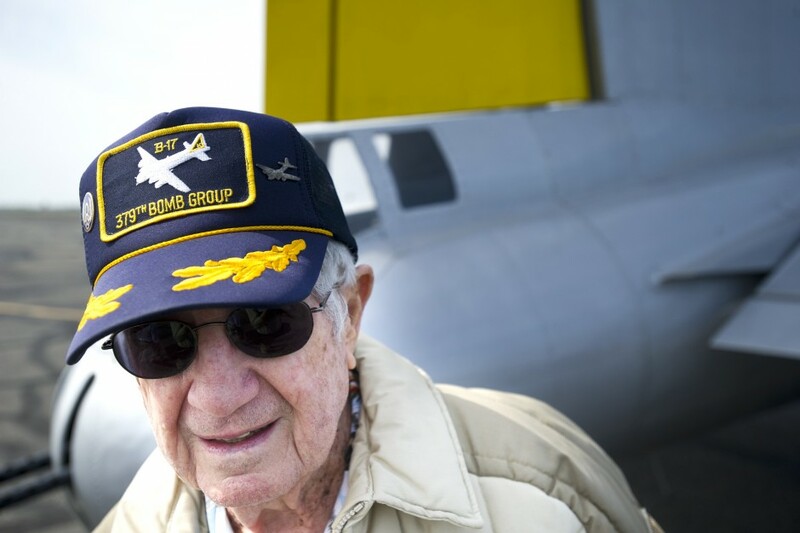 This post is a tribute to the 379th Bomber Group who fought in World War II. The 379th Bomb Group was activated in November26, 1942, at Gowen Field in Idaho. Squadrons in the 379th consisted of the 524th, 525th, 526th and 527th. In early December the group transferred to Wendover Airfield for heavy bomber training. The group trained in Wendover until April 1943 when they moved east for final processing. 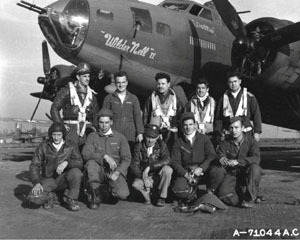 The 379th was one of 12 heavy bomber groups assigned to the 8th Air Force. Each group had their own code letter painted on the B-17 tail stabilizer. B-17s in the 379th were assigned the letter K.
The 379th Group flew their sorties (bombing runs) from Kimbolton, England. B-17 crews bombed a number of targets including German U-boats, railroad terminals, factories, enemy aircraft and troop movements. While in the European Theatre the 379th distinguished themselves from other bomber groups within the 8th Air Force. For example, among the 8th Air Force the group had the highest success rate of bombs hitting targets and they dropped the greatest tonnage of bombs. While on bombing runs the group developed the 12 plane squadron formation and lost the fewest number of aircraft. The group fought until July 12, 1945, when they were deactivated in Morocco. (Information from www.379thbga.org/history.htm). Images from Google.